SSA groups will love this easily-learned 5-minute medley featuring the sounds of some of the greatest groups ever! 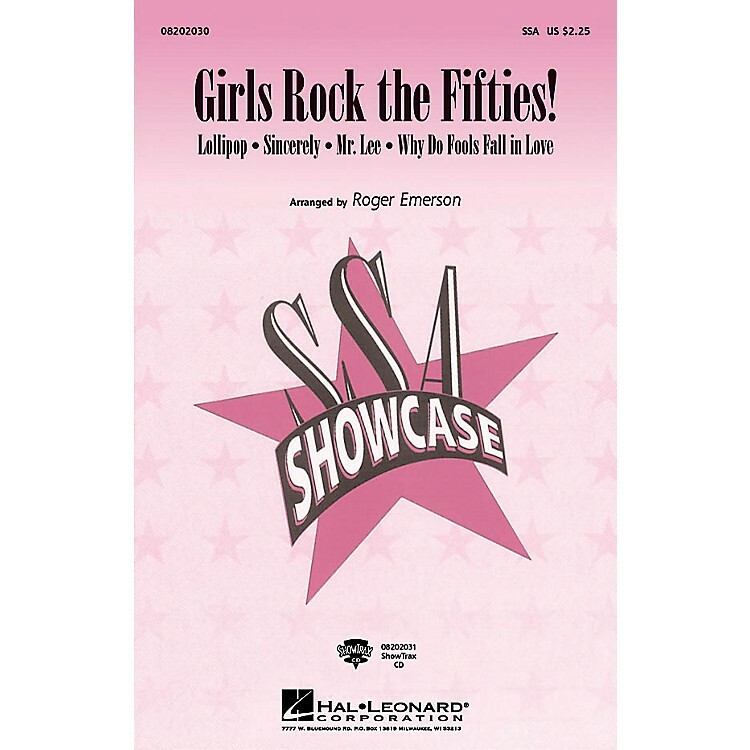 Includes: Lollipop (The Chordettes), Mr. Lee (The Bobbettes), Sincerely (McGuire Sisters) and Why Do Fools Fall in Love (Frankie and the Teenagers).Available separately: SSA and ShowTrax CD. Performance Time: Approx. 5:25.